Aglianico from Campania is sometimes called ‘the Barolo of the South‘, not because it tastes like Barolo but because it is ageworthy and regal like Barolo. Brought to the region by the Greeks as far back as 800 BC: the name comes from the Greek Ellenico. 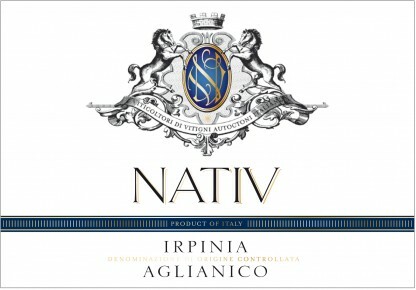 Aglianico is deep, intense ruby purple in color. This hearty red wine has rich aromas of black fruit such as blackcurrants and blackberries along with spicy notes of cocoa and smoke. The tannins are ripe, soft and make for a long, full-bodied texture yet balanced by good acidity which gives it a true sense of finesse. This robust red is a perfect match with grilled or braised red meat, osso buco, hearty legume-based soups and medium-aged herbed cheeses. Pre-fermentation maceration at low temperature, maceration with regular pump-overs and punch-downs for approximately 20 days. Fermentation started with natural yeasts. Malolactic fermentation is carried out. 12 months in French oak barriques.